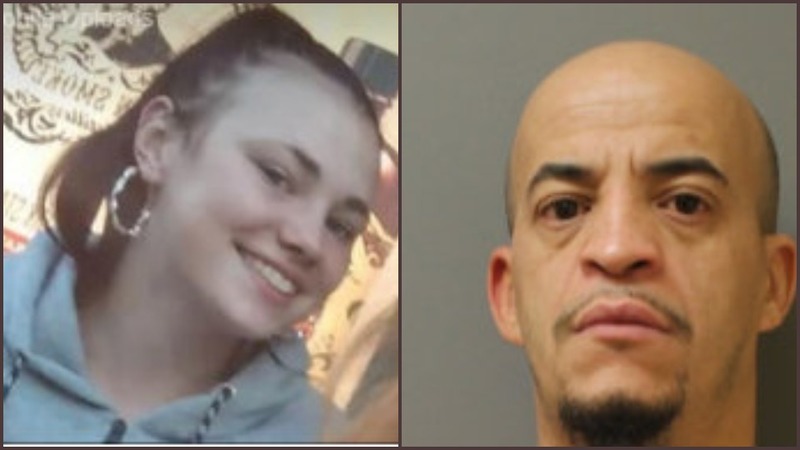 New York State Police are searching for a 14-year-old girl who went missing Saturday night in Rochester, along with a man who they believe kidnapped her. As reported by RochesterFirst.com, an Amber Alert was issued Monday for Joanna Coates, who was last spotted on LaSalle Street in Rochester at about 7 p.m. on Saturday. Authorities allege that 41-year-old Robert Gonzalez abducted her. Joanna is described as a white female who stands 5-feet-3-inches tall and weighs about 100 pounds. She has green eyes and brown hair. The teen was last seen wearing black leggings with a Nike shirt, and Timberland boots. Gonzalez is described as a Hispanic male who stands 6-feet and weighs about 185 pounds. He has black hair and brown eyes. Police believe Gonzalez may be traveling to New York City with the girl. Joanna’s mother, Linda Hollaert, expressed fear to Spectrum News, and is asking for her daughter’s release. Anyone with information regarding the teen or suspected kidnapper is urged to call 911, or the Rochester City Police Department at (866) NYS-AMBER.